Ping – Intelligent Alerting for Qlik Sense. 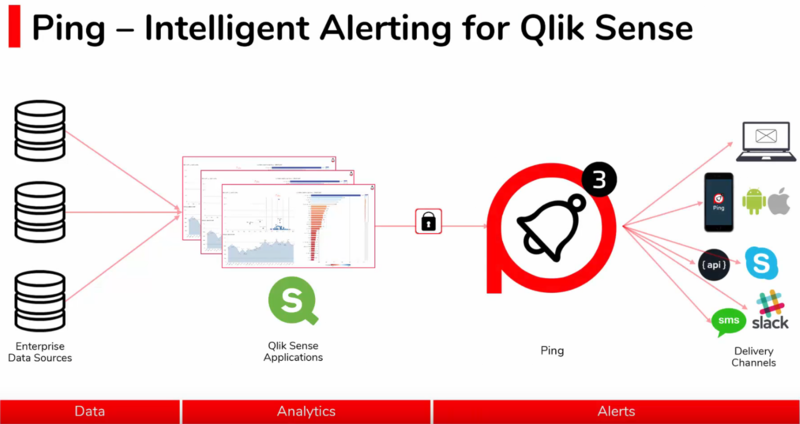 Ping offers alerting capability for Qlik Sense anytime, anywhere. If you love Qlik Sense and you ever thought ‘Wouldn’t be great to do alerting inside Qlik Sense and to be able to ping those alerts for action anytime anywhere?’ Now you can, with Ping-Intelligent Alerting for Qlik Sense from RoxAI. Ping by RoxAI supports; trigger based alerts within Qlik Sense applications with both on-load and live alerts, that are rules based and scheduled enabling you to be informed. With Ping alerts, users can be notified when the condition that will trigger the application alert has been met, thus giving you more control of your business. Examples of when might you might need alerts, that leverage data to increase business velocity? In addition to Ping RoxAI offers Bot and other AI solutions. The aim of every manager is to leverage data to increase business velocity and therefore business value. Monitoring Measuring and Managing by exception is made easier with automated alerting tools that enable efficient communication of exceptions that require attention. Differentia Consulting can help you deploy Qlik Sense with Ping to deliver more efficient and effective exception management thus driving more business value.